So, it is Valentine’s Day. If you are like me, you totally forgot what day it is and you are woefully unprepared for all the teacher gifts, coaches gifts, etc that you are kids are determined to give today. So, instead of rushing out and loading up on overpriced boxes of chocolates from the few that are left on the shelves, I plan to make cheater chocolate sea salt caramels. 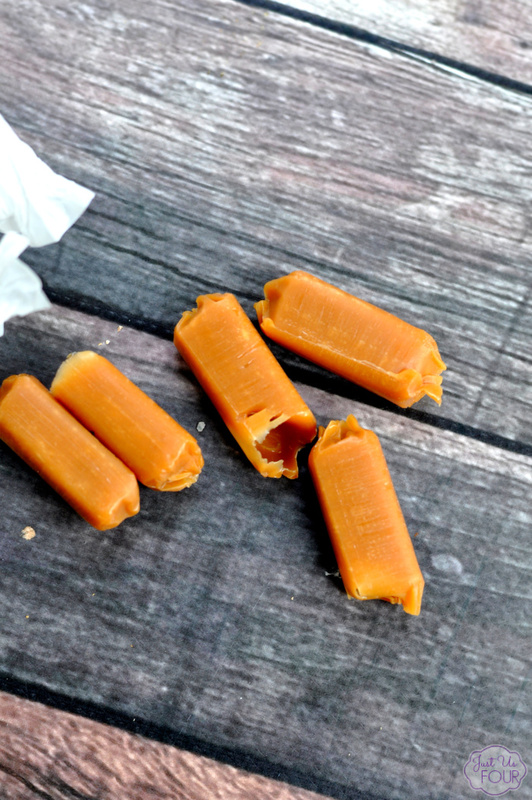 Now, you could easily make your own caramels from scratch but I just plain don’t have time to do that right now. 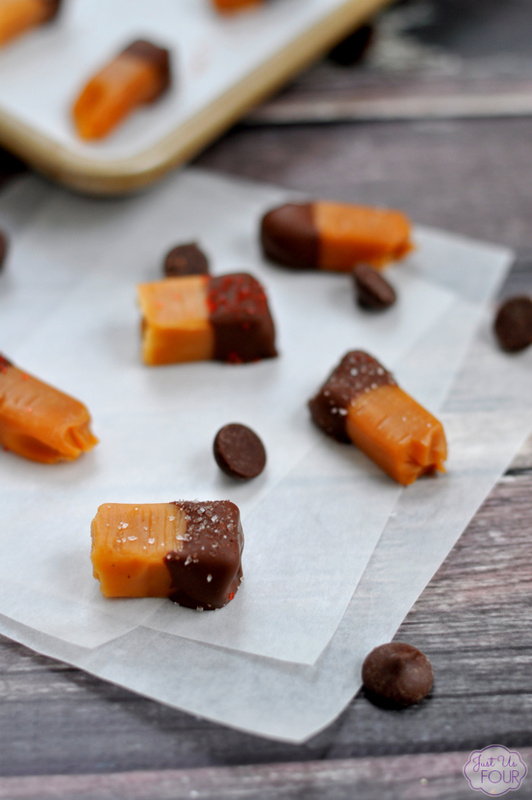 Plus, this is a cheater recipe so we are starting with store bought caramels. 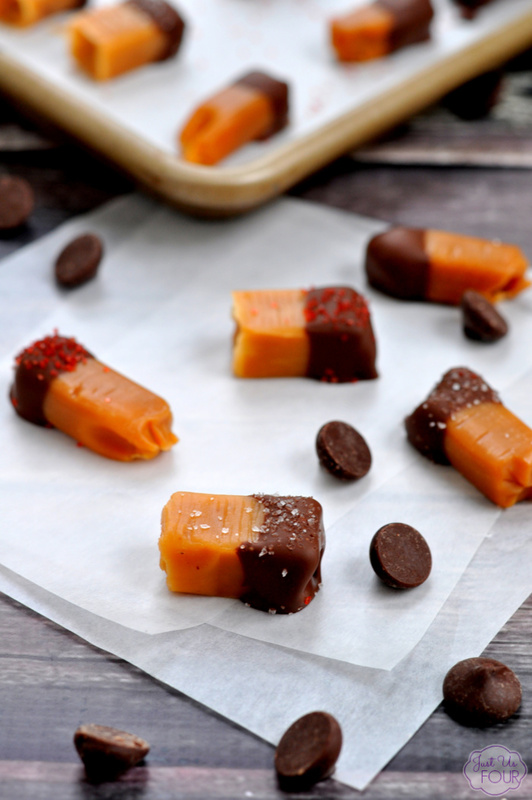 Choose your favorite soft caramels and some high quality dark chocolate. 2. Place chocolate chip in a microwave safe bowl and heat for 30 seconds. Stir well. Heat in 10 second increments, stirring between each, until fully melted and smooth. 3. 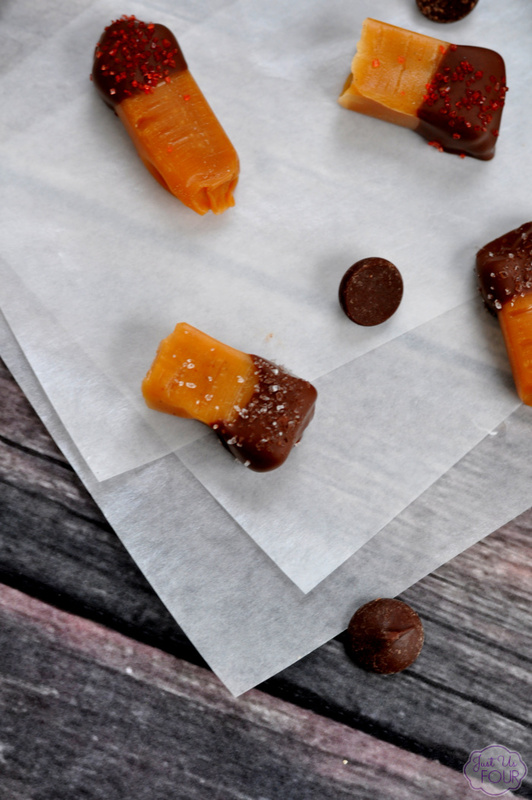 Dip half of each caramel in the melted chocolate and place onto parchment lined baking sheet. 4. Sprinkle with sea salt. Let set for 10 minutes. What are you giving for Valentine’s Day? Do you love “cheater” recipes that start with a pre-made item to make it a little easier? Place chocolate chip in a microwave safe bowl and heat for 30 seconds. Stir well. Heat in 10 second increments, stirring between each, until fully melted and smooth. 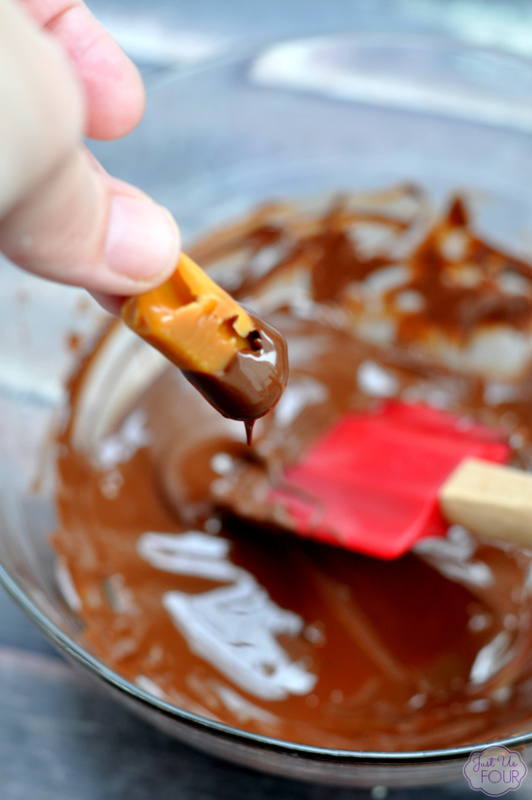 Dip half of each caramel in the melted chocolate and place onto parchment lined baking sheet. Sprinkle with sea salt. Let set for 10 minutes. It’s not cheating – its just easy – perfect for me!! Thanks for sharing on the What’s for Dinner Link up! I only love caramel when there’s a hint of salt. These look amazing! Nice idea! Thanks a lot for being at FF! That would make a great gift!! What a creative idea, I kind of want them for me now though! 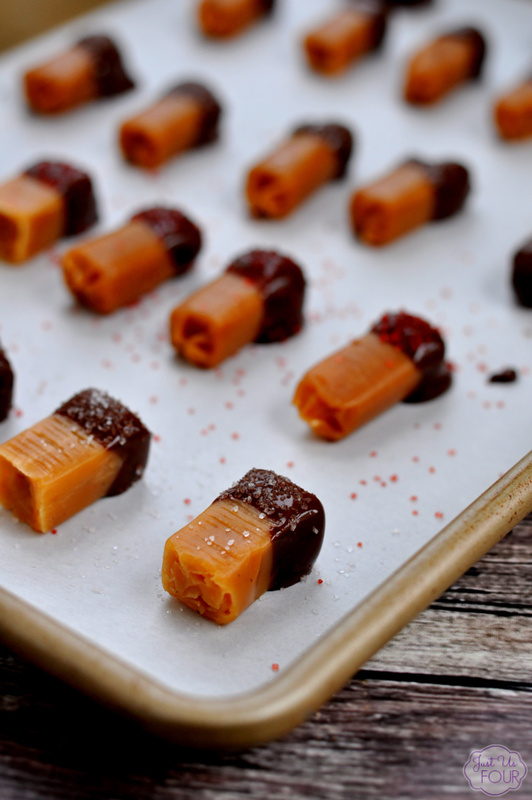 Thanks so much for sharing these awesome Sea Salt Caramels with us at Full Plate Thursday, can’t wait to have one, (or two)!